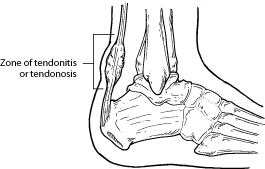 Achilles tendon is a band of tissue that connects a muscle to a bone. 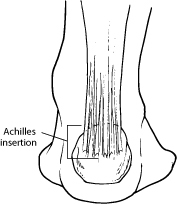 The Achilles tendon runs down the back of the lower leg and connects the calf muscle to the heel bone. Also called the “heel cord,” the Achilles tendon facilitates walking by helping to raise the heel off the ground.